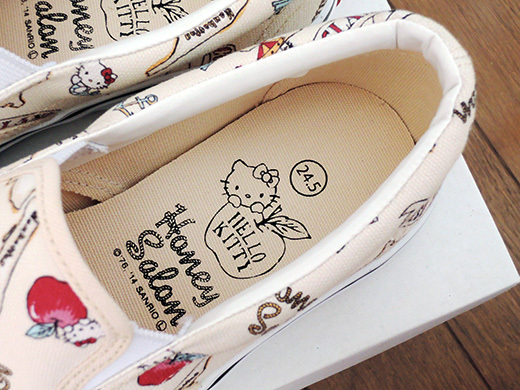 Hello Kitty collaborated with Honey Salon, they made some cute items for this spring-summer collection. I got a pair of Slip-On sneakers. 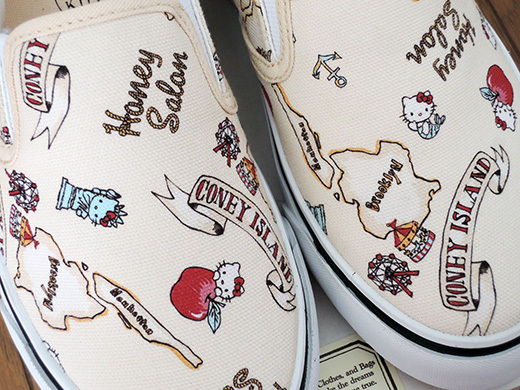 Hello Kitty is hanging around in NYC on this pattern. She holds “Big Apple”, or cosplay as Statue Of Liberty and Coney Island mermaid. 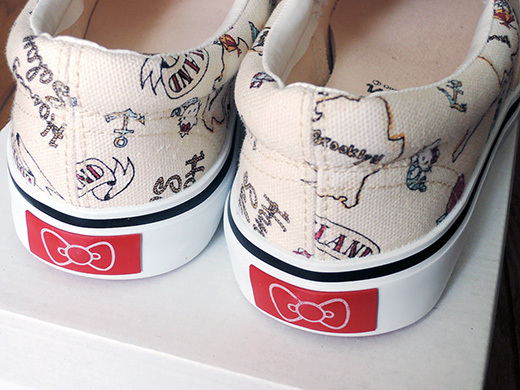 I love her iconic ribbons on the sneakers’ heels.